When stress comes I remove myself from the situation and allow it to drive me to my knees where I belong in prayer. And Jehovah answers my prayer with peace and strength. Cleavet: It has taken a year and a half but mom has finally settled down and there is a lot less problems now. She has even begun going back to church regularly for the first time in forty years. I have almost kicked the nicotine habit and know by Gods grace one day it shall be permanently conquered. Categories: addictions, Adversity, answered prayer, assurance, behaviour, blessing, burden, challenging, Christ’s love, Christian, Christian behaviour, Christian commitment, Christian conduct, Christian culture, Christian devotional, Christian duty, Christian encouragement, Christian faith, Christian life, Christian love, Christian photography, Christian strength, Christian suffering, Christian tribulation, Christianity, crisis, deliverance, destructive habits, divine guidance, divine help, elder care, emotions, endurance, frustration, Gods grace, Gods will, health, Holy Bible, Jehovah, Jesus, loving relationship, mental health, patience, personalities, prayer of thanksgiving | Tags: addictions, adversity, answered prayer, assurance, behaviour, blessing, burden, challenging, Christ’s love, Christian, Christian behaviour, Christian commitment, Christian conduct, Christian culture, Christian devotional, Christian duty, Christian encouragement, Christian faith, Christian life, Christian love, Christian photography, Christian strength, Christian suffering, Christian tribulation, Christianity, crisis, deliverance, destructive habits, divine guidance, divine help, elder care, emotions, endurance, frustration, God’s grace, Gods will, health, Holy Bible, Jehovah, Jesus, loving relationship, mental health, patience, personalities, prayer of thanksgiving | Permalink. One morning as soon as I woke up my head felt like it was going to explode in flames and my finger tips felt like they were going to explode. I knew this was a with drawl symptom of stopping smoking. There was a quite little voice that informed me not to reach for any niccorette gum, lozenges or the patch. I felt Jehovah telling me He was going to beat it. Now was decision time: 1 I could surrender to the craving and buy a pack. This would mean ultimate defeat. 2 I could trust Jehovah and obey His instructions. I felt the Lord directing me to a quiet wood lot. Silly me, had the disbelief that it was going to be smack down time like in the phony wrestling some folks waste their time watching on TV. There was a fantasy of the devil pinning me to the mat and then my super hero Jesus climbing into the ring and giving he devil the what for and casing him away. The reality of it was I laid on a mat and was completely encompassed by peace and strength that could only be the gift of the Holy Spirit. Whenever the desire hits me I either reach for Rescue Remedy or the Bible. The Bible and prayer works better. In order to receive Jehovahs blessing it is a two part sequence. First you have to have firm faith and believe. Sometimes part of having faith is taking the first step. Second Jehovah will then bless you. Now you may not receive your request coming to fulfillment because it is either ungodly or because it is not what Jehovah has planned for you. There was once a prayer for revenge because of what was deemed a serious offense against me. That prayer was denied but instead the Lord blessed me years later seeing that what was done was nothing more that an unintentional misunderstanding. For years I prayed to be blessed with a Godly woman to be my wife and for us to be blessed with children. That has never come to pass. It would have been impossible to serve my Heavenly King if I were married and had children. Having faith is a lifetime of work. It is not a one time deal. Each time your faith is rewarded your faith will grow but needs to continue to grow until we are walking the streets of Heaven. Prayer: Please Jehovah-Jireh (God is our Provider) bless me with providing me with them means to grow my faith in You. In so doing my Love I will also be blessed with drawing closer unto You. I sincerely request this in the name of He who had faith enough in You to go to the cross Jesus Christ. Amen. Categories: addictions, afflictions, agony, anguish, answered prayer, blessings, Christian, Christian behaviour, Christian culture, Christian devotional, Christian encouragement, Christian faith, Christian life, Christian Meditation, Christian photography, Christian prayer, Christian quotes, Christian society, Christian strength, Christian suffering, Christian tribulation, Christianity, commitment, confidence, counseling, deliverance, destructive habits, discipleship, discipline, divine guidance, divine help, experience, frustration, God, Gods grace, Gods will, guidance, Guidance Councilor, Holy Bible, Jehovah, Jesus, lifestyle, mental health, obedient, Peace, personal experience, prayer for compassion, Prayer for Guidance, prayer for obedience, praying, provision, psychology, society, strength, stress, suffering | Tags: addictions, afflictions, agony, anguish, answered prayer, Blessings, Christian, Christian behaviour, Christian culture, Christian devotional, Christian encouragement, Christian faith, Christian life, Christian Meditation, Christian photography, Christian prayer, Christian quotes, Christian society, Christian strength, Christian suffering, Christian tribulation, Christianity, commitment, confidence, counseling, deliverance, destructive habits, discipleship, discipline, divine guidance, divine help, experience, frustration, God, God’s grace, Gods will, guidance, guidance councilor, Holy Bible, Jehovah, Jesus, lifestyle, mental health, obedient, peace, personal experience, prayer for compassion, Prayer for Guidance, prayer for obedience, praying, provision, psychology, society, strength, stress, suffering | Permalink. This may be hard for you to believe, but is true. Many times in my life I have experienced great difficulties. One time being unemployed and having no money I had to collect pop bottles and beer bottles in ditches to get enough money to buy a loaf of bread and jar of honey to live off of for week. It ended up for my own good as that was necessary to get me to move to a different city where there were jobs. Through it all though, even though I didn’t know it Jesus was taking care of me. He just had to use a severe method to get me to do what was good for me. When we lose our job or have an accident and cannot support ourselves we worry. We worry about our retirement plans. Does it change the situation? 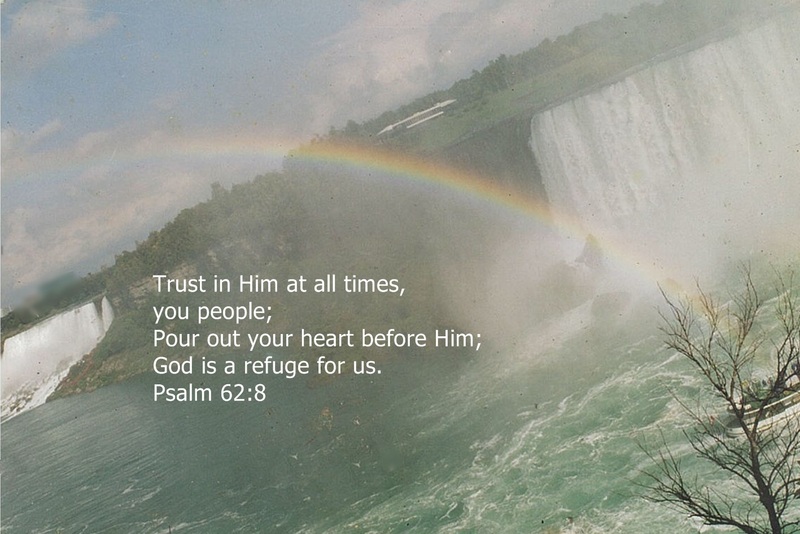 Now, many decades later I have learned to always put my trust in our Abba in Heaven. I know now that He loves me and takes care of me. 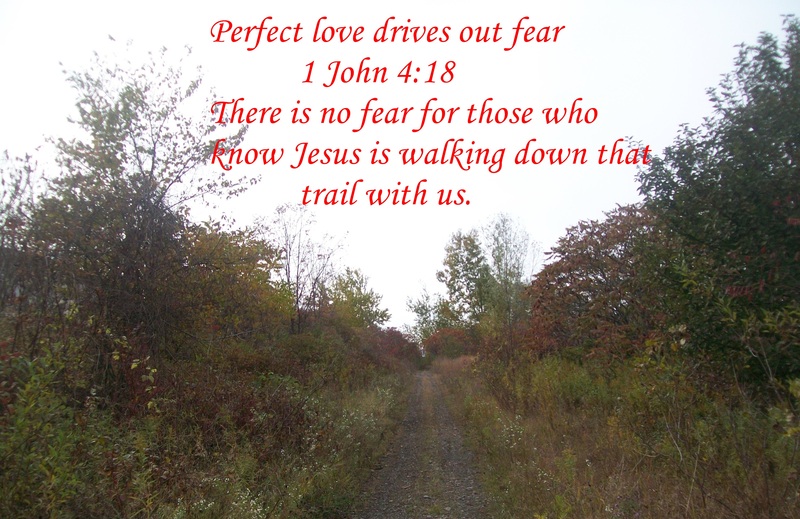 As long as I am walking in the path He has chosen for me He has always provided for me. If it seems as if God is far from you and is not helping you, perhaps you should ask God if you are in the wrong place or doing the wrong thing. If so, of course He will hold back His precious gift for you. If not, then He is using this difficult time to teach you so you will grow even closer to Him. Prayer: Even though the many times on the potter’s wheel have been difficult, I thank you Jehovah Elohim (God our creator) for molding me into the vessel You can use in Your marvelous kingdom. Categories: Adversity, afflictions, anxiety, assurance, Bible, blessing, burden, Christian, divine help, encouragement, fear, finances, frustration, Gods grace, help, hope | Tags: adversity, afflictions, anxiety, assurance, Bible, blessing, burden, Christian, divine help, encouragement, fear, finances, frustration, God’s grace, help, hope | Permalink.